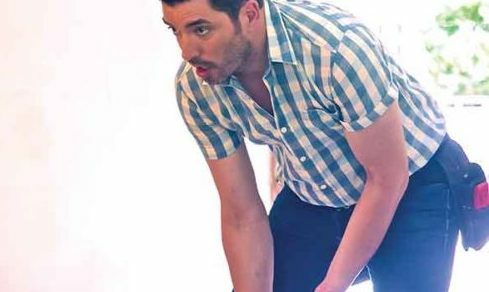 When homeowners want to increase their home’s resale value, they turn to Property Brothers Jonathan and Drew Scott—and when Jonathan and Drew wanted to add wood beams to enhance a Nashville property for their show, their producers turned to TN Box Beams. Customization options include design, dimensions, stains, rough or smooth finish and hand-applied textures. TN Box Beams also offers custom mantels, floating shelves, and corbels to complete the look. “TN Box Beams transforms raw wood into beautiful wood beams in our Franklin shop–but most important, our work transforms lives,” said Stoner. TN Box Beams is a division of Narrow Gate Trading Co., and partners with Narrow Gate Lodge to instill craftsmanship and purpose in the next generation. Watch for TN Box Beams on HGTV’s “Property Brothers: Buying & Selling!” and for more information, or an in-home consultation, visit www.TNBoxBeams.com or call 615/ 236-9156. • None of the gaps that develop with typical mitered construction—ever!